FTP (File Transfer Protocol) is a painless and simple way to transport and manage files over the Internet. Normally used to move large files at once, FTP is great for uploading website files onto a hosting account. FTP exchanges data using two separate channels: command channel and data channel. The command channel is responsible for accepting client connections and handling the exchange of simple commands between FTP client and server. The data channel is responsible for exchanging data in the form of directory listings and file transfers. 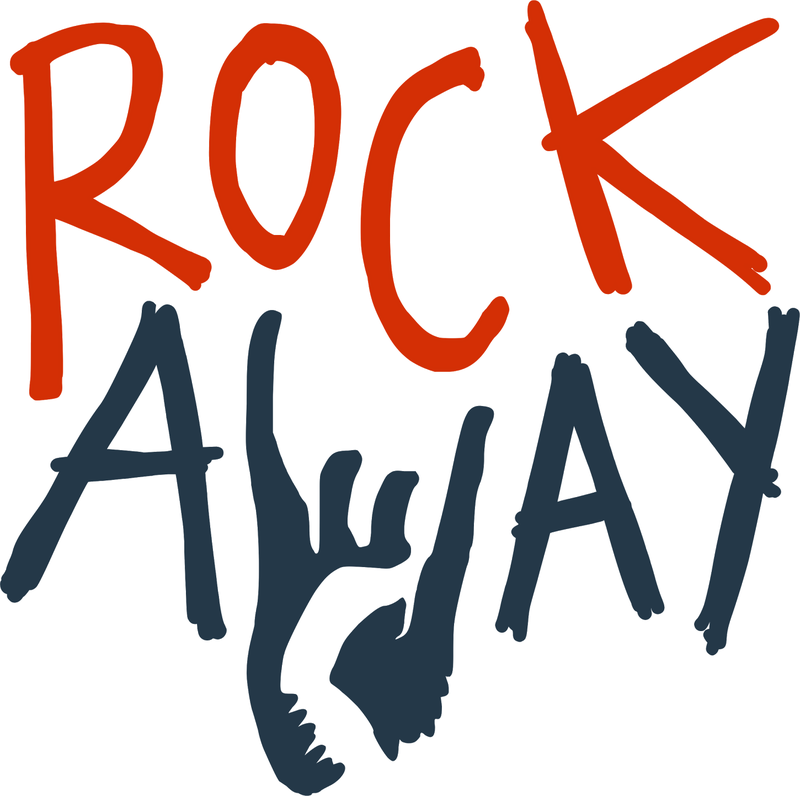 By default, all Rockaway Hosting users have an FTP account that's already been created for them upon sign up. Note: You must have the FTP client that you're working with already installed on your computer before moving forward. If you don't have Cyberduck (or FileZilla, CoreFTP, or any number of other clients) installed on your computer yet, do this now. At the top of the Cyberduck window, you'll see the option to open a connection. Click that button, and a drop-down screen will appear. 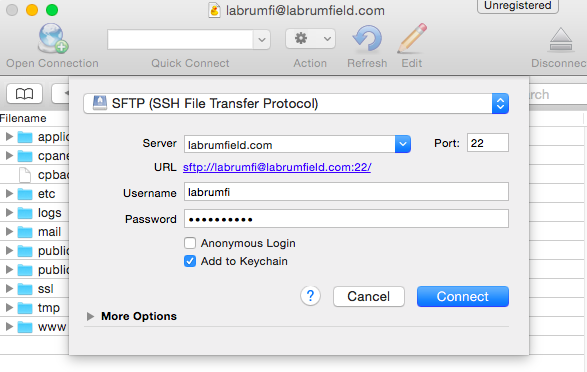 ...we highly recommend you click the drop-down menu and select SFTP (SSH File Transfer Protocol) instead of FTP. Both SFTP and FTP work essentially the same, but SFTP is more secure (among other things it runs on a different port and can’t be scanned by someone else on the network). The two methods use the same credentials and settings so you do not need to change anything else to use SFTP. ...you'll need to click FTP in the drop-down menu. For purposes of continuing with this tutorial, we are going to assume that you are working with the main cPanel account that was already created. Once everything is filled out, click Connect. The folders and files that you see in the Cyberduck window act like the Finder (Mac) or other file managers for your FTP server. Therefore, transferring files with Cyberduck simply involves dragging files from one window to another. Drag the selected files into the Cyberduck window. Select file(s) in the Cyberduck window. Drag file(s) into the Finder window. By right-clicking on any of the files in the Cyberduck window, you'll be given quick access to Cyberduck's file management commands. These commands can also be found by searching through the Cyberduck menu located at the top of your desktop screen. Note: If you wish to create a folder, avoid using spaces in folder names. Dashes and underscores are much more web friendly. If you wish to disconnect from your FTP server, simply click Disconnect at the top right-hand corner of your Cyberduck window.